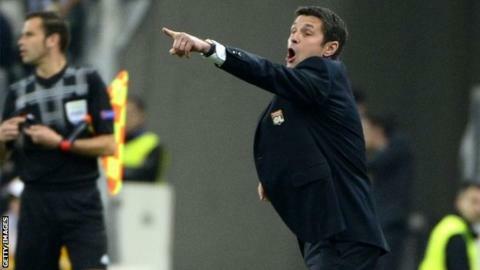 Lyon boss Remi Garde will step down from his post at the end of the Ligue 1 season for personal reasons. The 48-year-old former Arsenal defender has been in charge for three years at the club where he started his career and coached for eight years. His contract ends at the conclusion of the season and he has confirmed he will not sign a new one. "The reasons are personal and family. I feel the need to take a break," said the Frenchman. Garde added that he does not plan to manage a team next season. Lyon, who are fifth in the table, visit Nice on Saturday in Garde's final game in charge. They lost to Juventus in this season's Europa League quarter-finals and were in the French League Cup final.